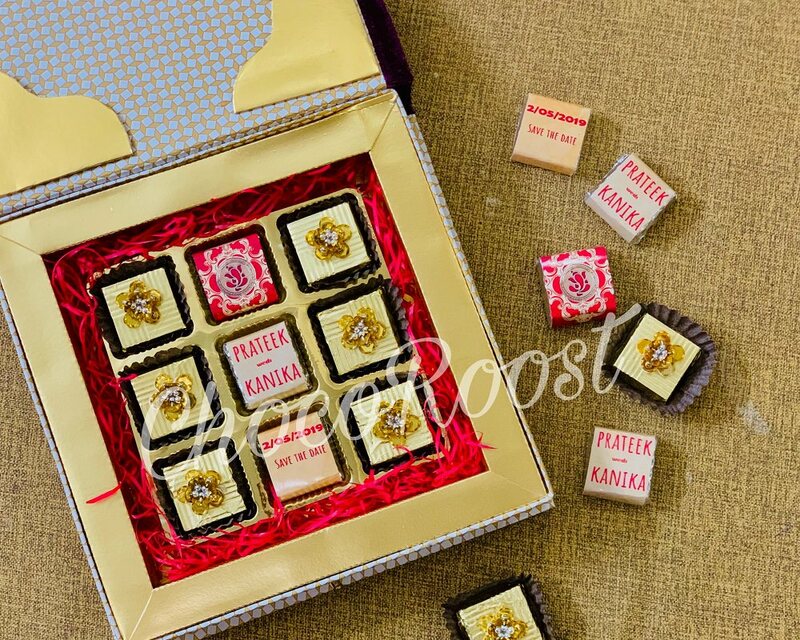 Discover a range of designer chocolate wedding favours at ChocoRoost. With beautiful designer chocolates, elegant wedding gifts, and luxury gift hampers, we’re full of unique ideas to help make your big day an unforgettable day. 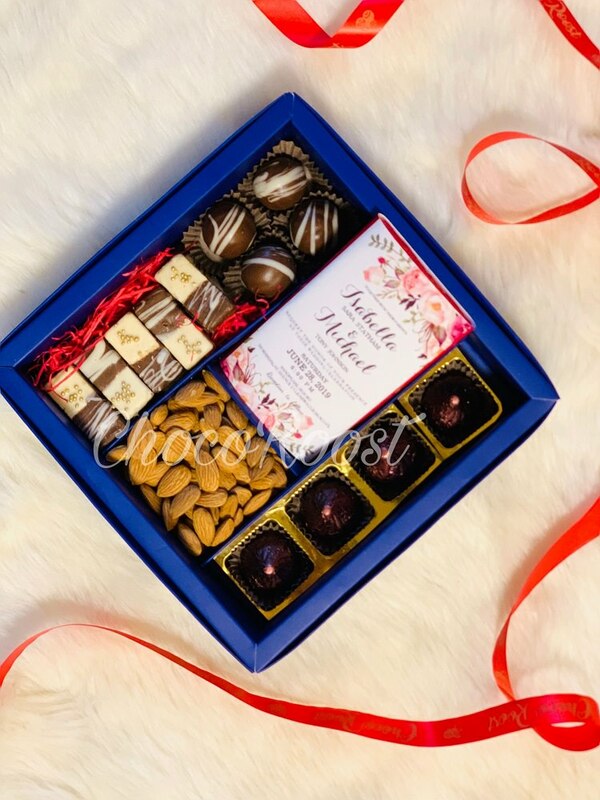 To add a tinge of saccharine to your wedding favours, chocoroost brings wedding chocolate extravaganza for all your guests. 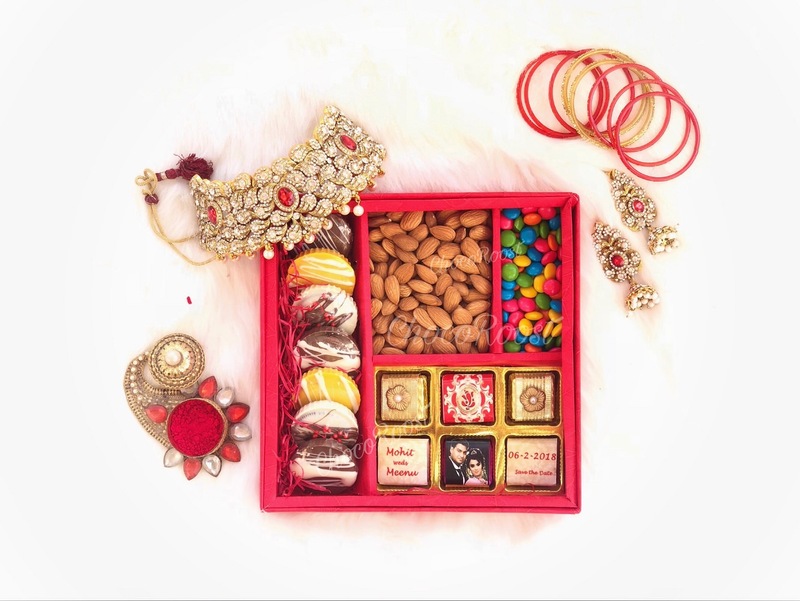 We are here to sweeten up your wedding ceremonies with a variety of assortments. 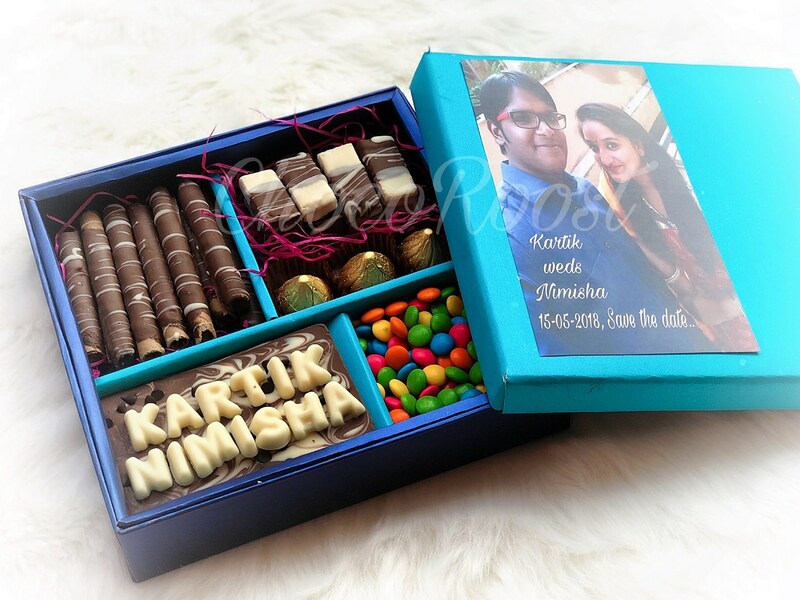 Add your own special touch to your wedding chocolates by choosing your favourite box, message and chocolates. 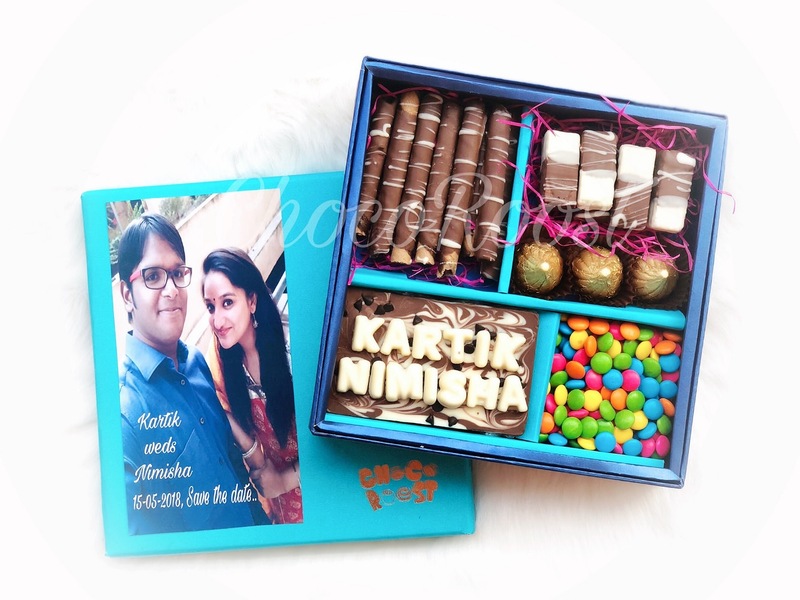 Customize your chocolates with photos, messages, invitation card, label or design and make it an experience to remember. 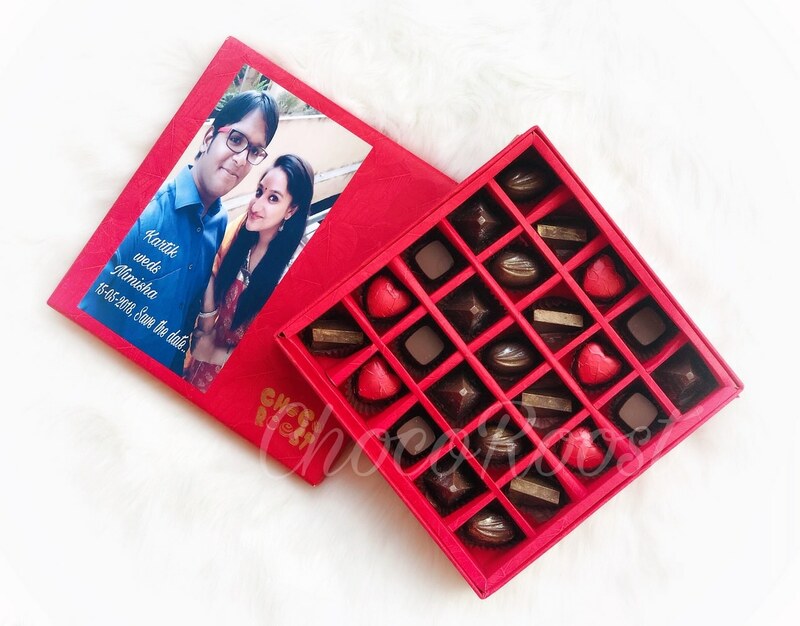 Send love or say thank you to your guests with our personalized chocolate wedding favours. 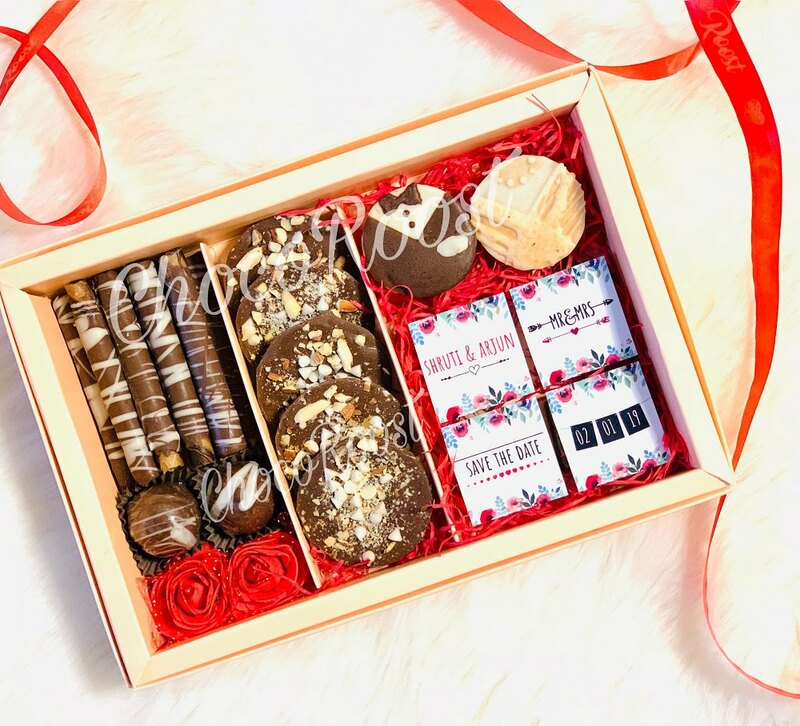 Wedding Favours has become the latest & a unique trend in weddings. It is a beautiful way of greeting your guests with amazing and unique chocolate favours. 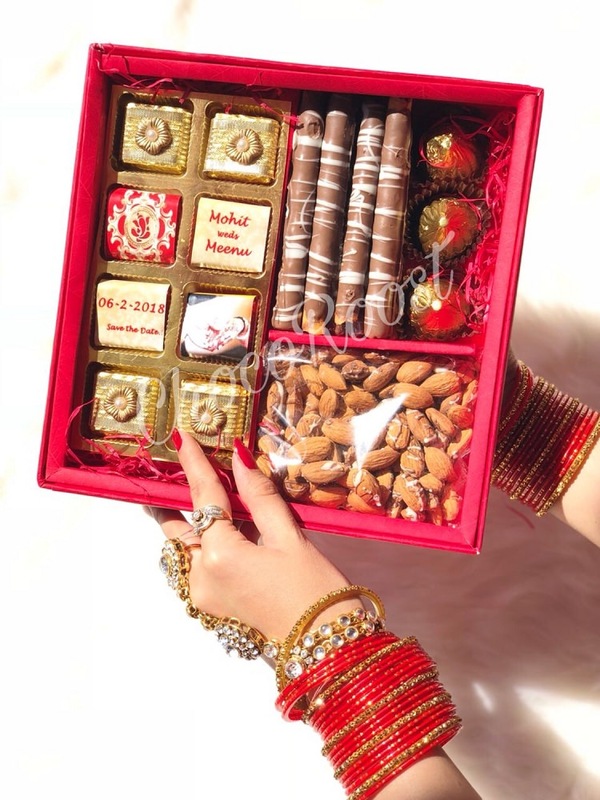 At ChocoRoost, we ensure you have the right kinds of favours for all your wedding events with the personalized touch to impress your guests. With our easy and quick service, you won’t have to worry about the delivery of your Chocolate Wedding Favours! Our customers can’t get over how quickly the entire process is completed at ChocoRoost.